Headquartered in Putrajaya, the administrative center of Malaysia, Election Commission of Malaysia is a government agency formed in 1957 under the constitution, and its core duty is to conduct elections for the lower house of parliament and state legislative bodies. Also, it is also responsible for voter registration, electoral roll revision, constituency adjustment, etc. Since one of the duties from SPR Malaysia is to review and decide the boundaries of election districts, it is necessary to conduct many fieldworks for collecting the latest spatial data. 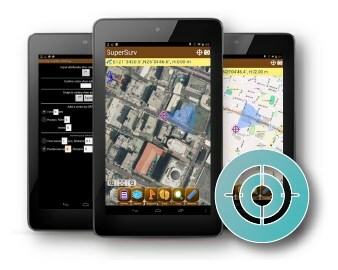 To achieve the goal, it needs multifunctional mobile GIS software that can work efficiently and accurately in the field. Designed by Supergeo Product Team, SuperSurv is an ideal GIS app to meet such need, supporting both Android and iOS platforms. Other than basic functions of mobile GIS, such as spatial data displaying, creating, and editing, SuperSurv for Android supports NTRIP solution, WMS and WMTS formats, and synchronization with SuperGIS Server. Therefore, fieldworkers of SPR can collect high-precision spatial data, verify the data with various online map services, and then share with the colleagues in the office in real-time, managing the spatial data more efficiently and accurately.